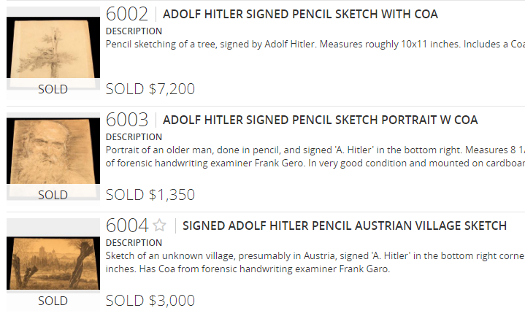 As all these drawings are provided with Certificates of authenticity (Coa) by Frank P. Garo, this is a clear indication hat these six drawings are not made by Adolf Hitler, but by one or more unknown forgers. 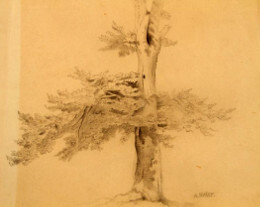 "Pencil sketching of a tree, signed by Adolf Hitler. Measures roughly 10x11 inches. Includes a Coa from forensic handwriting examiner Frank Garo." 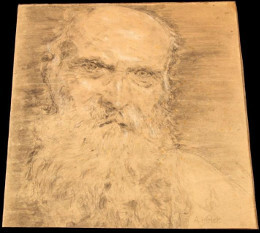 "Portrait of an older man, done in pencil, and signed 'A. 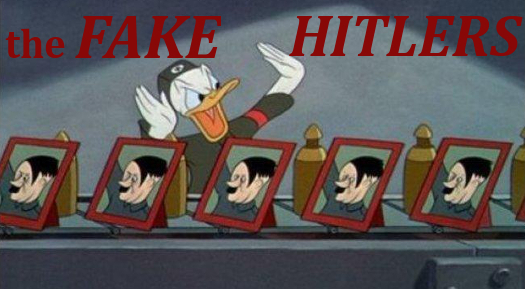 Hitler' in the bottom right. Measures 8 1/2 inches wide by 9 inches tall. Comes with certificate of authenticity of forensic handwriting examiner Frank Gero. In very good condition and mounted on cardboard." 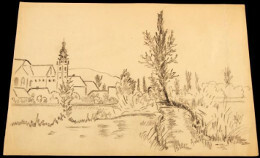 "Sketch of an unknown village, presumably in Austria, signed 'A. Hitler' in the bottom right corner. Sketch is in pencil and in very good condition. Measures 8x12 inches. Has Coa from forensic handwriting examiner Frank Garo." 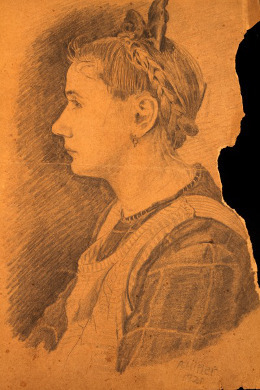 "Profile portrait of a young girl in pencil, signed 'A. Hitler 1921' in the bottom right corner. It is quite possibly Hitler's niece, Angela 'Geli' Raubal, who would have been 13 at the time, approximately the correct age for the girl in the portrait. Portrait is in good condition, though with a portion on the right behind the girl having been torn away, and a small tear on the bottom left corner. Approximately 8 1/2 inches x 12 inches in size. Has Coa from forensic handwriting examiner Frank Garo." 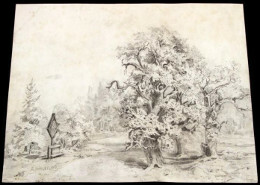 A pencil sketch of forest road, which is signed 'A. Hitler, 09' in the bottom left. In very good condition, measures 8 1/2 inches by 11 inches. Has Coa from forensic handwriting examiner Frank Garo. 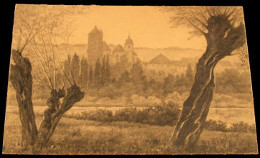 Sketch in charcoal of an Austrian village and surrounding countryside. Bottom of drawing is signed 'Hitler Adolf', and the piece appears to be generally consistent with both his style. Measures 10 1/2 x 7 inches. Has CoA from forensic handwriting examiner Frank Garo. Screenshots March 8, 2018, 10.36 hrs C.E.T. 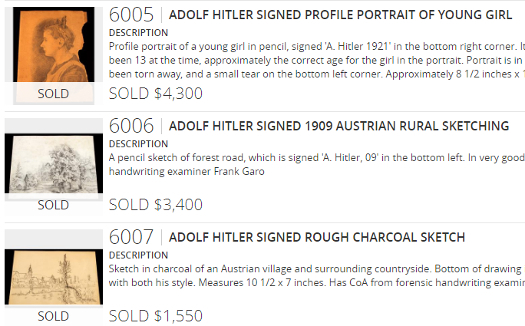 Later, on the same day, these forgeries were sold for $ 20800,-. Ryan Dailey. 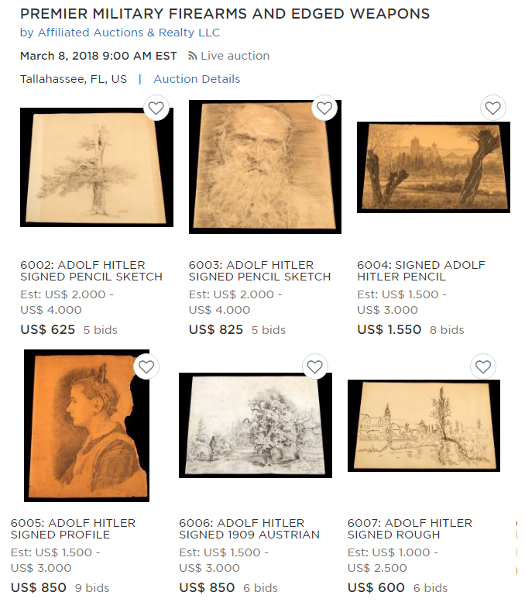 Tallahassee auction will sell what could be some of Hitler's early sketches. Tallahassee Democrat, 09-02-2018. Jake Stofan. Hitler artwork in Tallahassee. Capitol News Service. WCTV, 12-02-2018. Jake Stofan. Art sketched by Adolph Hitler to soon go up for sale. News4jax.com, 12-02-2018.